"Big Hero 6" will be the first partnership between two pedigreed entertainment companies — Mickey Mouse's 90-year-old animation studio and Spider-Man's 74-year-old publisher — since the Walt Disney Co. acquired Marvel in 2009. 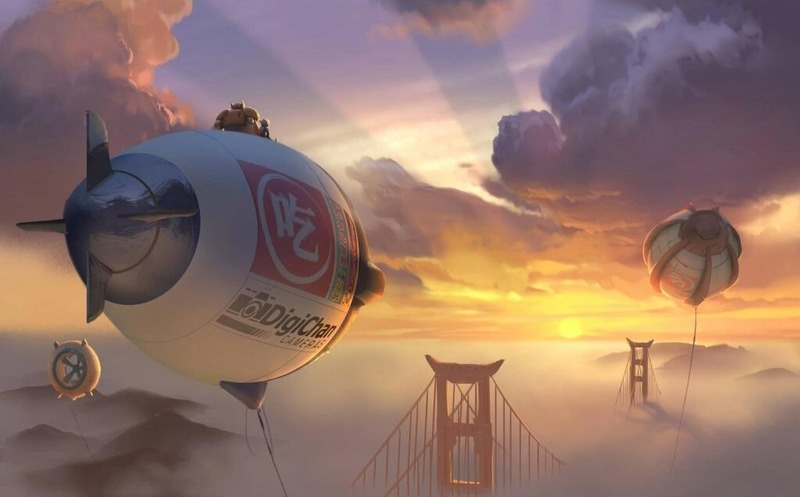 Directed by Don Hall ("Winnie the Pooh") and due in theaters on Nov. 7, 2014, the movie will center on a boy and his beloved robot companion who join a team of crime fighters in a mythical mashup city called San Fransokyo. Ahh the scenery is so gorgeous. This movie is going to be amazing with those two working together. 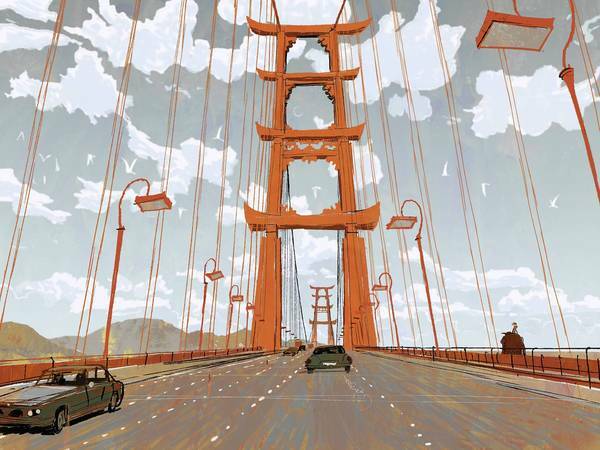 Still waiting for the day we get the Paperman animation style in a movie. 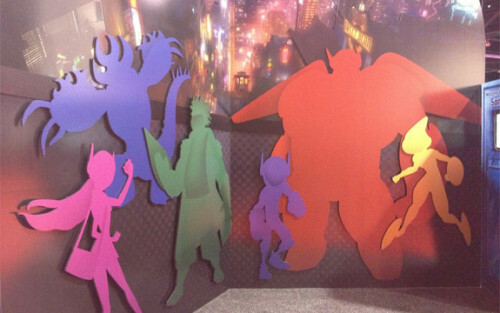 I still have not tried to hunt down Big Hero 6 related comics (it'd be great if Marvel could do a collection of all of the comics Big Hero 6 appeared in, especially the 2008 mini-series), but I am actually really excited from this weird unholy union. I think if it is successful enough, we'd probably start to see more Walt Disney animated films with Marvel heroes in them. Imagine the possibilities of a Young Avengers animated film or TV series, or even more less-known titles getting attention. One day...I'd hope they would use it in the Mickey Mouse film they were slated to be working on. Scenery is great, as to be expected. Love winnie the Pooh(RIP, hand drawn) and this could be awesome! I'm really looking forward to this movie. I'm quite interested in seeing Disney's take on Marvel's superheros. I think the City looks amazing, hope it'll look like that in the film as well. I don't know how I'd feel about Disney making Marvel animated movie in their Disney canon becoming a regular thing though. As am I. I trust that they can do it. I would usually be worried about something like this but nope, I'm more hyped than anything. I wouldn't want it to be a super frequent thing, but I can see then making a new film every now and then based on something Marvel if Big Hero 6 does well. Maybe not with their current line-up, but maybe sometime after 2017. Yeah me too, I'd think I'd be more worried about it, but just seeing their mash up city San Fransokyo got me really exited. It looked so pretty. *o* Also I just dig the idea. Yeah, if they do I also kind of hope they will stick with lesser known characters, that are rather separate from the rest of the marvel universe. Don't know if I really want them to add Avengers or X-Men( this ones impossible anyways ) to their canon. On the other hand I wouldn't mind them opening up a new department for their marvel stuff. At least we know it will be a gorgeous looking film. Everything looks great at least, wonder when we'll get info on characters. Both the blimps and the flat graphic cutouts look great! Fransokyo eh? I have a feeling I'll be digging this movie. I'm fine with the changes. Can't wait for the trailer to come out.